Racing watch Wryst TT with black and red bracelet. 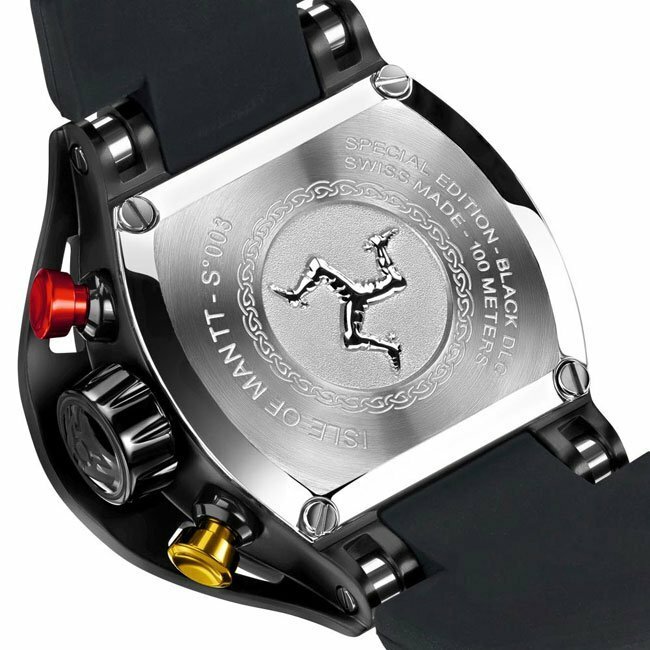 This special edition timepiece pays tribute to the world's fastest motorsport: The Isle of Man TT. 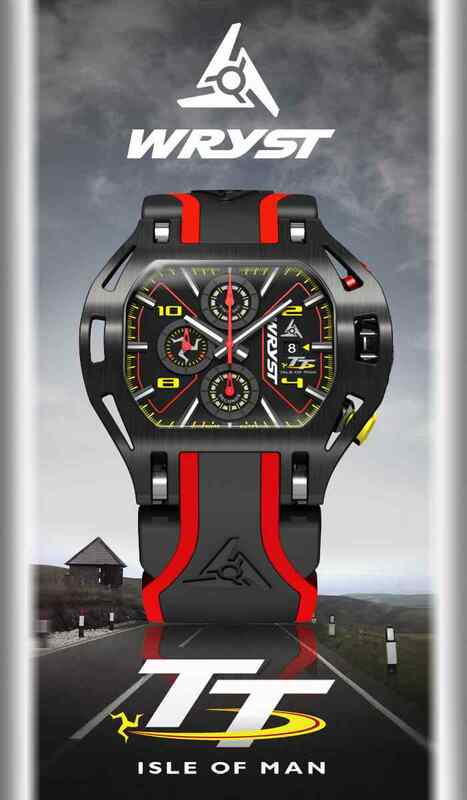 A good size bold luxury racing watch with unprecedented style dedicated to riders. Produced only in small quantities, the Swiss chronograph black racing watch with black DLC coating has the TT logo signature on the dial. The case back also reveals the distinctive Isle of Man triskelion engraved in 3D. 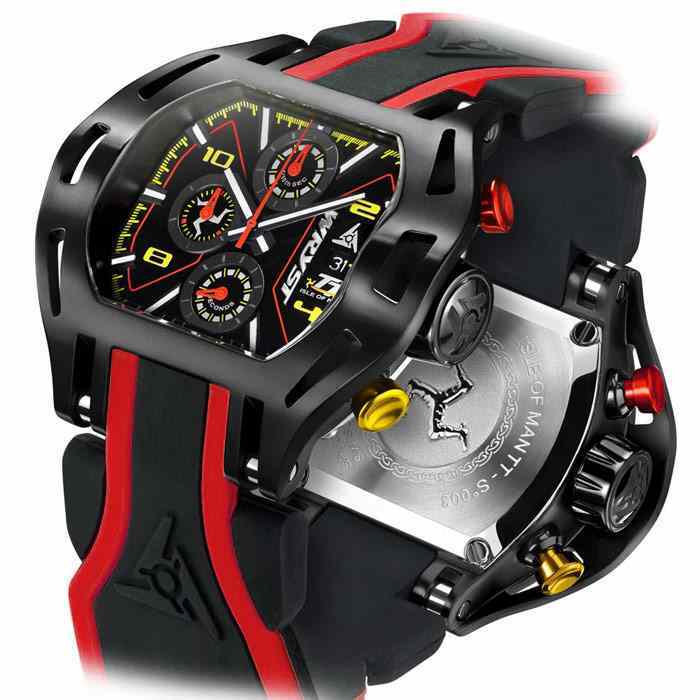 A racing watch definitely dedicated for motorsports and riders. Every year the epic Isle of Man TT race takes place on the island in a frenetic atmosphere. Fans with a passion for speed and motorcycling have a chance to purchase this fantastic and collectible racing watch from Wryst, the official timing partner of the tourist trophy since 2015. 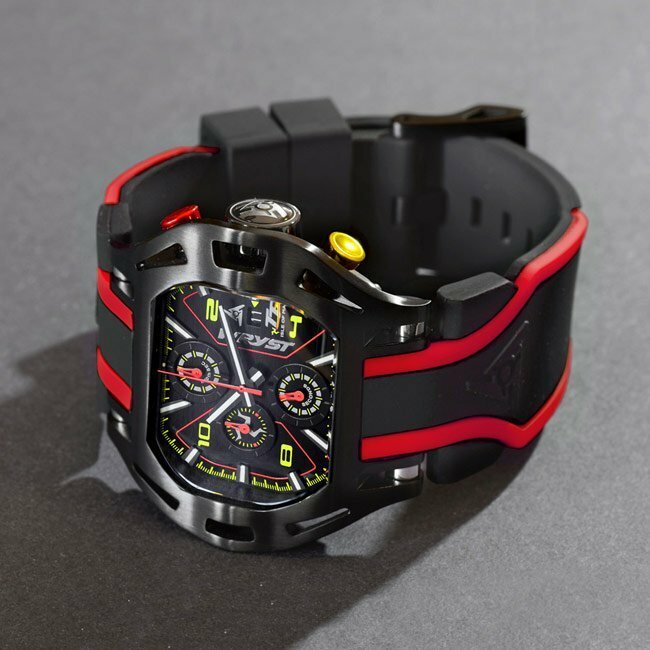 The unique motorsport-inspired design of the racing watch Wryst TT is just breathtaking. Like all high-speed vehicles competing for the best lapse, the design of the TT chronograph is an homage to the brutal modern curves of the motorbikes and sidecars prepared for the competition. 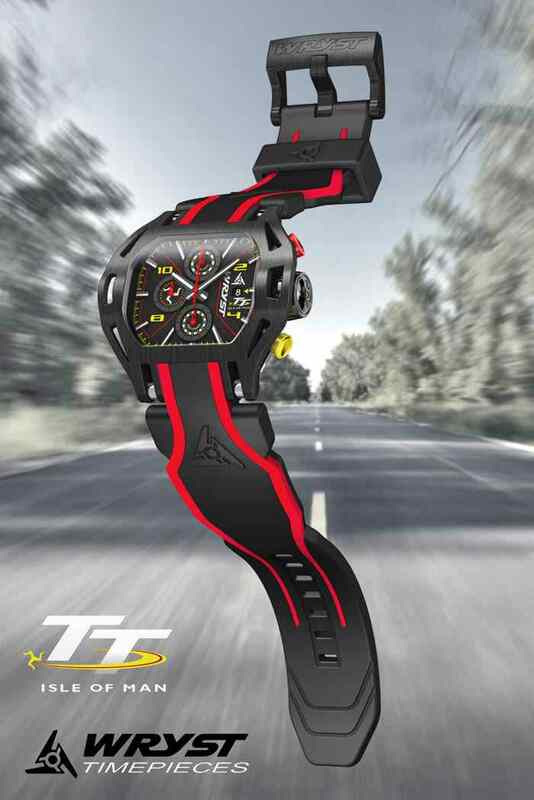 There is nothing quite like the TT races, and the same applies to Wryst timepieces. 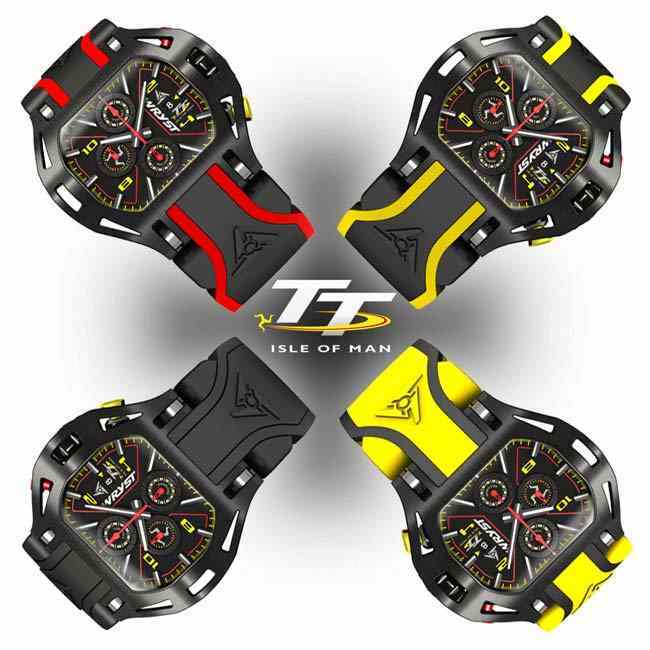 The exclusive special edition racing watch TT is also a perfect match for individualists who like sports cars, supercars and any challenge involving speed. 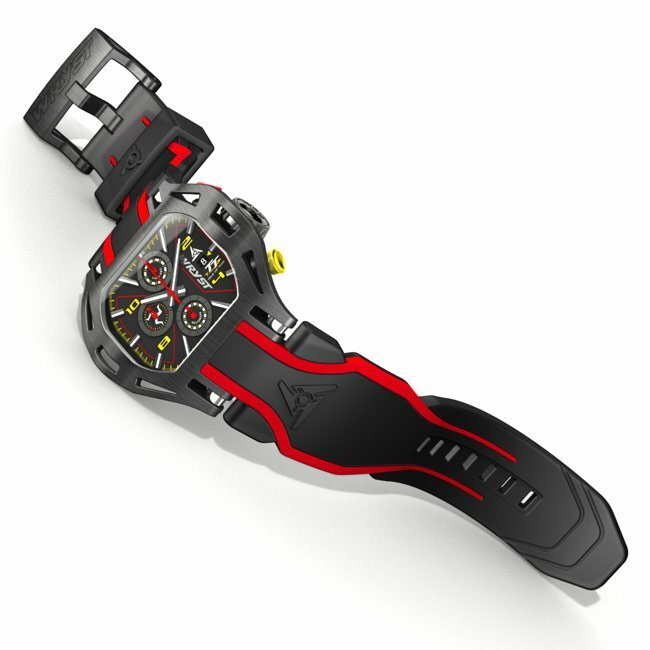 The modern and technical curves of the TT watch case and bracelet are inspired by the designs of fast competition vehicle. Also used for the making of car parts, the watch has a black DLC (Diamond-Like Coating) protection which is the hardest ever produced. Moreover, if you are looking to improve your lifestyle and impress your surrounding the Wryst watches are perfect for you. More collections are also available such as the automatic Wryst Racer watches, or the chronograph quartz references Wryst Force.